There is a lot of buzz about batteries entering the market these days. 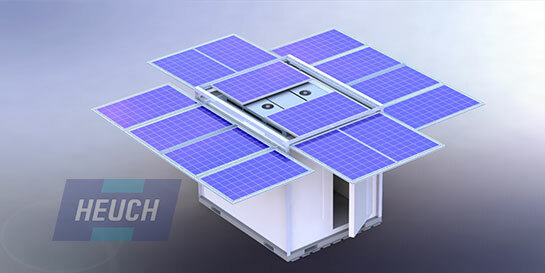 As Heuch are solar system designers and installers, we are frequently asked about whether battery systems are cost effective to add to their solar systems. In the domestic market, batteries are just getting to the stage where they can become a financially viable solution. A chance to store all that power that your solar system has been harvesting during the day. Constantly dropping in prices and improvements in capacity has brought this within reach. But what about the commercial and industrial market? Is it cost effective as well? A typical small to medium sized business runs during the daylight hours, conveniently during the same hours that the sun is shining and a solar system is producing power. In this case, your business really doesn’t have too much need for batteries, because you are consuming the power as it is being produced. This isn’t to say that some batteries WOULDN’T benefit a business in this position, but rather that you could look at a much smaller battery system. Something that runs the overnight loads only and charges during the day such as the staff refrigerator, a UPS for your network and the security lights and systems. With just solar and nil battery, it just means that earlier in the mornings, later in the afternoons, on overcast days and for overnight loads, you’ll pay to import electricity, which is still a long way better than importing power during 100% of normal business hours. 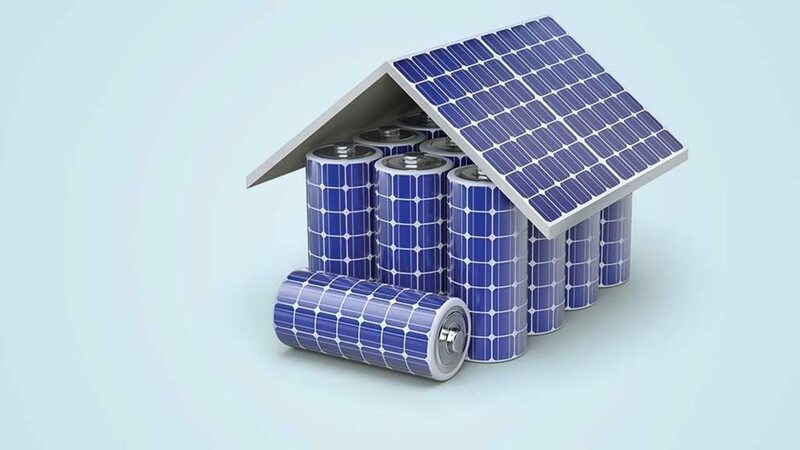 If you run your business outside of the traditional “9-5” hours, as is common in manufacturing and shift working, then batteries can work in conjunction with a solar system by charging during the daylight hours and discharging at night to provide light and power for your premises, reducing your electricity import costs. For facilities and sites that run with a generator, running the engines at less than optimum levels will damage both efficiency ratings as well as reduce the operational life of the motor itself. Batteries can help improve asset life in this case by allowing the generator system to run at optimum levels by fast charging the batteries, then shut down, allowing a facility to run from the battery power. This saves money on generator maintenance and can drastically reduce fuel expenditure. There are some sites that can’t risk not having alternate power backup! High stock values in controlled environments or sites that are remote, bushfire prone or subject to frequent blackouts, for example. This could be in any industry too, from pharmaceutical manufacturers with temperature critical stock to the general store with ice-cream & icy poles. While a dedicated back-up system may lay dormant for a period of time, batteries covering an extended blackout can pay for themselves in part everyday and then in a single event by saving high value stock from spoilage, expiring or in lost income. Many critical operations like data centres, petrochemical facilities and telecommunications are already implementing these redundancies tactics at many of their sites. Batteries certainly have their advantages in the commercial and industrial sectors, and with prices on electrical storage coming down by the day, it could be time to engage your electrical contractor of choice to see how they could benefit your business. To discuss how you might be able to reduce your energy expenditures, contact Heuch on 03 9793 6088. Today’s industries are demanding more and more energy to operate. Even when machinery is becoming more efficient by the day, the world’s population is ever increasing and so is our demand for electricity. In Australia, as in many parts of the world, this electricity is mainly produced by coal fired power stations. Solar technology has come in leaps and bounds in the last decade, becoming far more efficient and accessible, thereby driving down cost of manufacture. As you might have noticed on your drive to work or walk to the milk bar, many households have adopted solar power systems to offset their dependency on mains electricity, and even sending their solar power generated into the grid for others to use. Businesses stand to benefit from solar energy even more than households for the primary reason that most businesses operate during the day; the time when the solar systems are producing power. Small and medium businesses are often paying high rates for electricity, sometimes as high as $0.30 per kilowatt hour! To put that in perspective, a kilowatt hour (kWh) is quite simply using 1 kilowatt of energy for an hour. So if you have an air conditioner that uses 1 kilowatt of energy to run, and run it for an 8 hour work day, that has just cost you around $2.40. Use that for all three months of summer (call it 13 weeks, therefore 65 business days) and your singular air conditioner has cost your business $156 at a minimum! That’s just one air conditioner, most business have more than one standard air conditioner. Now factor in lighting, computers, servers, machinery, water heaters…. Suddenly, this all seems to be adding up! But there is a solution to help offset these ever rising costs, and the solution lies in the use of green technology. 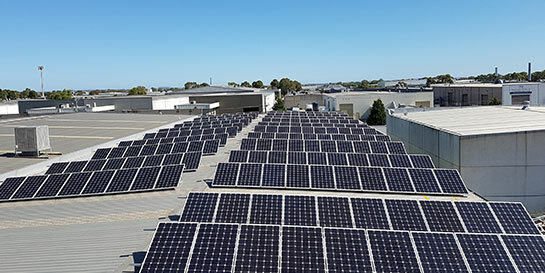 Whilst larger scale businesses often pay much lower rates for their electricity, they can still definitely benefit from solar system installations by helping them achieve their environmental impact reduction goals. Especially when fleet vehicles are involved. Combining a solar system with the upgrade of company cars to plug-in hybrids or fully electric cars, fuel costs and vehicle emissions can be significantly reduced. Heuch have a team of CEC (Clean Energy Council) accredited Solar System designers and installers to get you up and running with your system. Whether it’s reducing outgoing costs, reducing your business’ carbon footprint or empowering remote communities to keep infrastructure and logistic costs down; we can tailor a solar package to suit your requirements. Heuch have always been renowned for quality service and installations, and our solar team continue this legacy of quality and reliability from protype to installation. We handle the process from start to finish, principally installing “Tier 1” panels and accessories. We also utilise monitoring software to make sure your business benefits fully from generated power; and apply for any available rebates or incentives on your behalf to keep capital investments to a minimum. Typical projected returns on investment range between 3-5 years. Once your system is up and running, it’s business as usual! Typically, the “cost” of a system is paid for by the savings you will make on your previous electricity expenditure. And the whole package can be installed and running without costing your business any downtime. It is that simple! Is it time to let your customers know that you’re a green operating company? If you answered yes, simply contact us for an obligation free consultation. Heuch Engineering and Able Industries Engineering have released a new product to market that is set to disrupt the current defence refrigeration technology landscape. The Mobile Autonomous Refrigeration Utility (MARU) uses solar refrigeration technology from Heuch. The unit is specifically designed to assist the work of emergency responders, aid providers and defence personnel, by providing an energy resilient cooling solution. The MARU (Mobile Autonomous Refrigeration Utility) is a rugged, mobile cooling unit, with on-board solar power supply and customisable hold over capacity (up to 48 hours), built in accordance with NATO Master Pallet 463L specifications, to suit a range of airfreight requirements. Moreover, it can be deployed and running in under 10 minutes, with no specialised equipment required. Heuch’s work in the area of solar refrigeration has already earnt the company the 2016 Innovator of the Year Award in CCN’s HVACR Leadership Awards. Further information on MARU can be found at www.blackstumptechnologies.com or ring Martin Oakley on 03-9793 6088. Original article as published by Climate Control News.